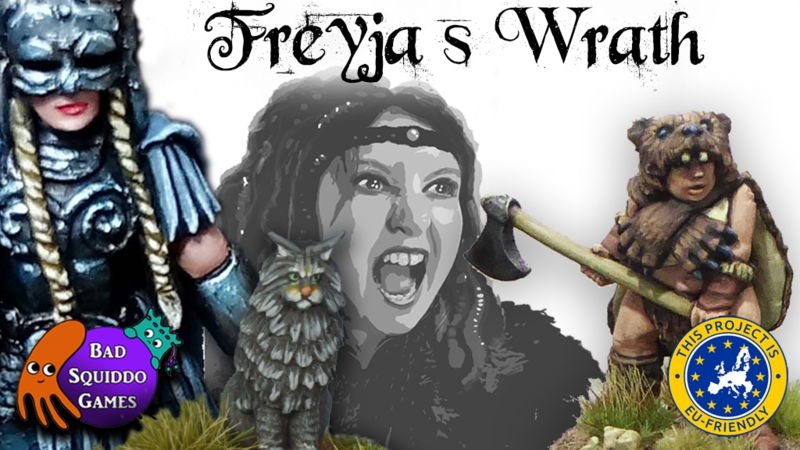 If you listened to Episode 238 of the Meeples & Miniatures Podcast, you will have heard Annie Norman from Bad Squiddo Games previewing her next Kickstarter Project – Freya’s Wrath – which is a new range providing a complete Shieldmaiden Army. There are a number of pledge options available. Do you ask for Freya’s Blessing, spend £100 and obtain ten shieldmaiden units at 17% discount, collect all your Fluffy Chums for £38 or become a Mighty Jarl and spend £200 to get one of everything? Whatever you decide, you will have to be quick as the project is only running until the 6th February 2018. However, as a bonus for your decisiveness, you will not have to wait long for your new armies, as delivery is scheduled for April 2018!